Identity Crisis! Two women have been identified post-mortem as Louise Mondelo. It is up to your students to determine who is actually Louise using the latest in DNA typing technology. This laboratory kit introduces students to gel electrophoresis, the polymerase chain reaction (PCR), and short tandem repeat (STR) DNA analysis. During the lab, students will pour agarose gels, load DNA, run the gel, and then analyze their results to determine the identity and paternity of victims, and who may have been present at the crime scene. Supplies are included for up to 30 students working in six groups. 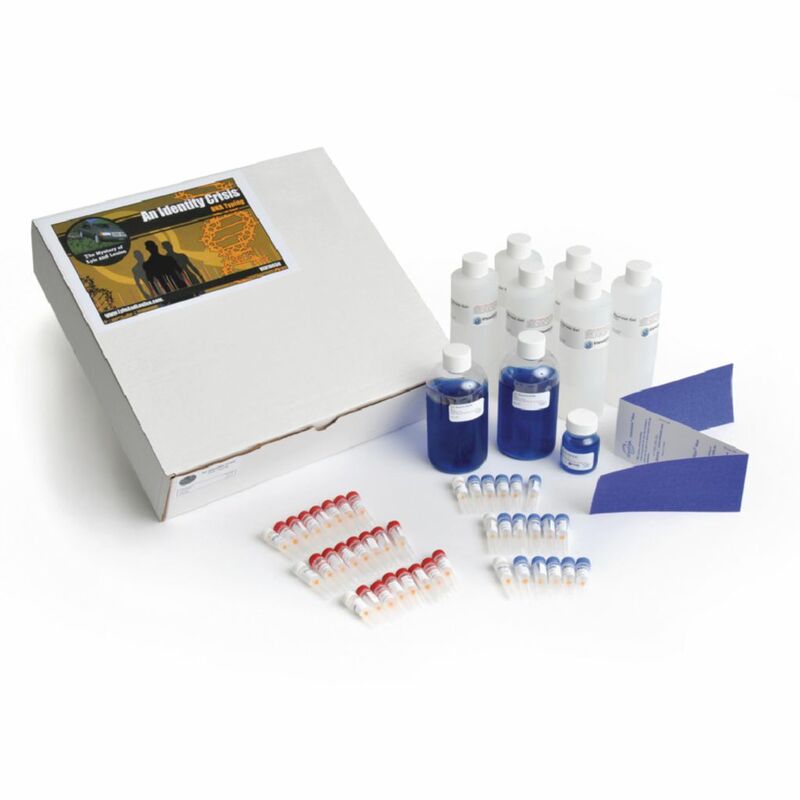 As in all Lyle and Louise modules, this kit is geared to high school and undergraduate courses, and is matched to National Science Education Standards. Web access to fully illustrated teacher's manual with technique background.